TAICOT is an expert committee aming to promote global cooperation between medical and legal professionals in organ transplant field. Taiwan Association for International Care of Organ Transplantation (TAICOT) was invited to present its recent study in the 15th Congress of the Asian Society of Transplantation (CAST) in November 2017. Researchers from TAICOT indicated that the percentages and numbers of Taiwanese patients traveling to China for organ transplants significantly decreased after the implementation of the newly amended Human Organ Transplant Act (“the Act”). The study attracted the attention of the transplant experts at the symposium. More than 700 doctors and experts in the international transplantation community attended the 15th Congress of the Asian Society of Transplantation (CAST) that was held from November 27 to 30 in Cebu, the Philippines. Researchers from Taiwan attracted audience by presenting results on the impact of the amended Human Organ Transplant Act in Taiwan. In fact, the medical society has had concern for the issue since 2006. In March 2006, a formal employee at Liaoning Thrombus Treatment Center of Integrated Chinese and Western Medicine exposed that the Chinese Communist Party (CCP) had procured organs from Falun Gong practitioners and cremated the corpses to destroy any evidence. Two months later, World Medical Association (WMA) swiftly adopted the “Council Resolution on Organ Donation in China,” demanding Chinese doctors not be involved in the removal or transplantation of organs from executed Chinese prisoners. Ten years later in April 2016, WMA reiterated this resolution, demanding the CCP to immediately stop using organs from prisoners. Recently, the international community acted against transplant commercialism and non-transparent organ sources in China. In 2016, the United States House of Representatives and the European Parliament passed Resolution 343 and Written Declaration 48 respectively, condemning that the CCP has systematically procured organs for organ commerce from Falun Gong practitioners and other prisoners of conscious on the state level. TAICOT’s presentation earned recognition and affirmation by professionals. Surgeons and professionals from the Philippines, Pakistan, India, Sir Lanka, Vietnam, Japan, and other Asian countries learned of the current status of transplantation in China and TAICOT’s work and efforts along the years at the booth. It’s been almost two and a half years since promulgation of the amended Human Organ Transplant Act of Taiwan on July 1, 2015. 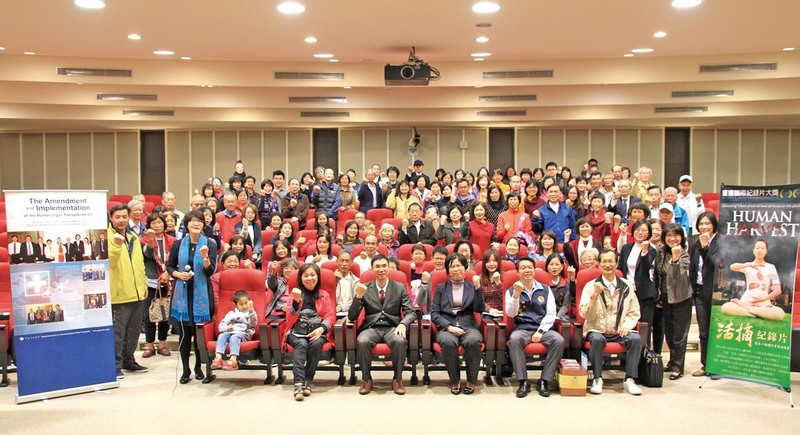 To commemorate Human Rights Day, TAICOT hosted the screening of Human Harvest in the Legislative Yuan on Dec. 8, 2017. Several legislators managed to arrive early at the venue and give remarks and interviews to express their generous support. Legislators CHANG LIAO Wan-Chien and HUNG Chun-Yi vowed to continue working with TAICOT for the cause in the legislature and push for substantial implementation, while Legislator GAO Jyh Peng stressed that Taiwan has the obligation to voice more and louder for those deprived and suppressed under the Chinese communist regime. (From left to right) Taiwanese Legislators HUNG Chun-Yi, CHANG Hung-Lu, and CHANG LIAO Wan-Chien; TAICOT Legal Consultant Attorney Theresa CHU, Secretary-General Dr. Chian-Feng David HUANG, and Medical Consultant Dr. TING Kai-Ting. During the two and a half years when TAICOT advocated for the amendment to Human Organ Transplant Act (“the Act”) in the legislature, with strong endorsement from then Legislator TIEN Chiu-chin (now Deputy Minister of Overseas Community Affairs Council) and Legislator YU Mei-Nu, the amendment eventually garnered cross-party support from altogether fifty-two legislators. In June 2015, the Third Reading of the amended Human Organ Transplant Act was finally completed and passed, effective as of July 1, 2015. The Act not only puts Taiwan in alignment with the latest international trends and among the most advanced legislating countries on transplant ethics, but also allows Taiwan to refrain from complicity with the Chinese regime in organ harvesting. In his pre-screening speech, TAICOT’s Secretary-General Dr. Chian-Feng HUANG pointed out that the amended Act aims to create a mechanism at policy level to establish a better domestic organ donation system and to stop overseas organ transplants through the mandatory reporting system, sentences and penalties. Dr. HUANG also explained that the screening of Human Harvest is a great approach to let more doctors and people who are in need of transplantation be aware of the ongoing transplant abuse in China. The amended Act requires both recipients and the hospitals for post-operative care in Taiwan to report the specific information of the overseas transplants such as country, hospital, surgeon, and organ site(s). The government may then conclude a list of the hospitals that perform organ transplants with opaque organ sources, thereby protecting the Taiwanese from being accomplice in the organ harvesting crime and ensuring the quality of medical treatment Taiwanese patients received. TAICOT’s Legal Consultant Attorney Theresa CHU also explained the amended Act prohibits and criminalizes transplant tourism with sentences and penalties, and asked the Ministry of Health and Welfare (MOHW) to keep promoting such information among the public. Since still patients are going to Mainland China to buy organs and undergo organ transplants, MOHW is obligated to effectively and extensively promote the important provisions in the amended Act. Miaoli County Council and TAICOT also jointly hosted a screening of Human Harvest for the first time on Dec. 6, 2017 to raise awareness of the issue. The event was well received by the local gentry, officials and residents alike, including a dozen of Miaoli County Councilors; Toufen City Mayor XU Ding-zhen; Division Chief GU Zhi-cheng of Medical Administration Division, Health Bureau; Chairman CHEN Zong-sheng, Association of Miaoli County Lifeline Corp. Besides, over two hundred Miaoli residents participated. The Program Department crew of TV Chosun, a subsidiary of South Korea’s largest newspaper The Chosunilbo, risked their lives investigating in China to produce the documentary, Kill to Live. TV Chosun broadcast the documentary in its program Investigation Report 7 1 in November 2017. The film reveals that about 20,000 South Korean patients have gone to China for organ transplants since 2000, on average around 2,000 per year in recent years. The program concludes from credible evidence and testimonies that the organs South Korean transplant patients received in China were mainly sourced from Chinese prisoners of conscience, especially Falun Gong practitioners, who are believed by many to be the most severely persecuted group. The film confirms that many hospitals are still performing organ transplantation for foreign patients. 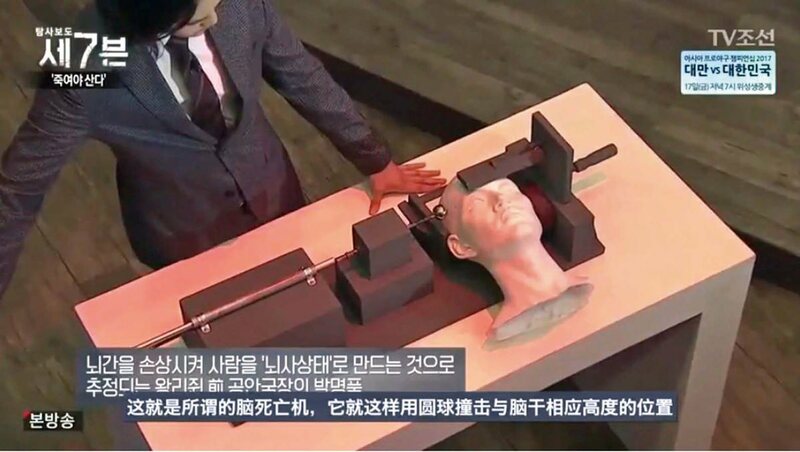 Further, the patented machine aimed at causing brain death—“Primary Brain Stem Injury Impact Apparatus 2”—invented by WANG Lijun (former Public Security Bureau Chief, Chongqing Municipal Government) was also exposed. The reporter from Investigation Report 7 went to the “T” hospital most popular among South Koreans (unspecified yet presumably the Oriental Organ Transplant Center of Tianjin First Central Hospital, judged from the images from the film) to conduct a secret on-site investigation. The reporter secretly filmed how organ transactions were carried out, how patients and their family obtained information regarding organ transplants, the reception procedures by the ethnic Korean nurse, the dialogue between a surgeon and the patient, etc. The chief surgeon in charge of the transplant team of T Hospital was introduced with an emphasis on “being trained in the United States.” The shortest waiting time is said to be only one week in 2017. Although the Chinese regime has banned transplants for foreigners before the Olympics since 2008, the Center, being the largest transplant center in China, explicitly targets South Koreans, Middle Easterners and a small number of other Asian patients, including Taiwanese. The Center also indicated bluntly that patients were supposed to donate additional money to the Center’s foundation besides the specified expenses if they want to have priority for transplant. A nurse told the reporter, “For some the waiting time is a week, while for others transplants may be performed within two days. It may take as long as one month or one and a half months, or as short as one week or a few days.” In the case of a kidney transplant, the total expense is 140 million Korean Won (US$131,771) plus an additional 100,000-yuan (US$15,478) donation. When asked whether it was possible to choose organs from young people, the ethnic Korean nurse directly pointed out, “Organs from the elderly are not used. We also do our selection. From the patient’s point of view, they all want young and good organs. No one wants organs of the elderly.” The reporter captured the scenes where several operating rooms along the hallway were lit throughout the night and stacks of used surgical clothing kept piling up every day. A Korean doctor promised, according to his patient, that he would ensure the patient’s post-operative care as long as he went to China for an organ transplant. When questioned by Investigation Report 7 about their knowledge of the opaque organ source, several doctors declined a formal interview. In addition, neither those surgeons who performed the transplants nor the patients were told the organ source. Such implementation completely violates the WHO Guiding Principles 10 and 11 on transparency and traceability. As the Chinese regime now claims the donor organs for their booming transplant industry draw upon nationwide voluntary organ donations, where have all these organs available on demand within such short waits come from? It is TAICOT’s stance that an open and transparent investigation into the matter by the international professional community be called for and that the Chinese regime should accept the investigation as soon as possible. Jiefu HUANG, former Chinese Vice Minister of Health, claimed that most organs came from brain-dead patients but offered no explanation why there should be so many brain-dead patients eligible for donation. The documentary seemed to provide a shocking clue. In a visit to a research lab in Sichuan province, the lab staff confirmed the patented invention by former Public Security Bureau Chief WANG Lijun, “Primary Brain Stem Injury Impact Machine,” was meant to cause brain death. 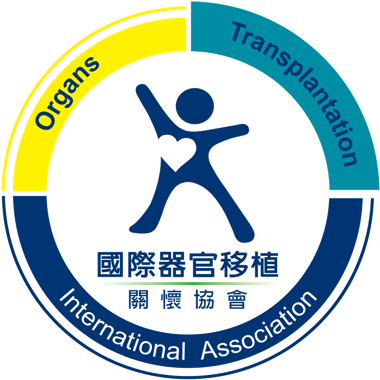 Established in 2006 by a group of doctors and lawyers who share conviction in and enthusiasm for human dignity and moral integrity, Taiwan Association for International Care of Organ Transplants (TAICOT) has been dedicated to issues related to medical ethics as well as organ donation and transplantation in Taiwan and around the world. With sustained efforts, we successfully advocated the amendment to Taiwan’s Human Organ Transplant Act in 2015, with which Taiwan becomes the first in Asia to criminalize transplant tourism, thereby effectively strengthening Taiwan’s response to organ trafficking. We also continue to engage different communities via various reach-out projects, including hosting film screenings and panel discussions, participating and exhibiting in domestic and international medical conferences, giving speeches, and issuing publications. We look forward to opportunities to work with allies to end organ trafficking and restore the fundamental rights and essential ethical values to all mankind.